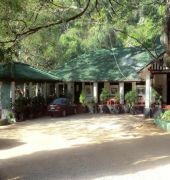 Belihuloya Rest House is situated in Belihuloya (42km/40 min drive from Bandarawela), along the banks of Belihuloya River. 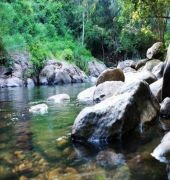 The hotel is 15 km away from the tallest waterfall in Sri Lanka, the Bambarakanda Falls. 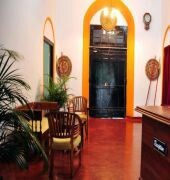 Accommodations are furnished with television, telephone, internet access and bathroom with shower. 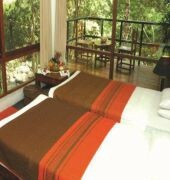 Some rooms are equipped with air conditioning and balcony. 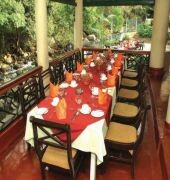 Guests can enjoy Sri Lankan cuisine at the restaurant located right next to the river. Parking facilities is possible onsite. The Belihuloya Rest House is 160 km or 180 minute drive away from Katunayake International Airport.